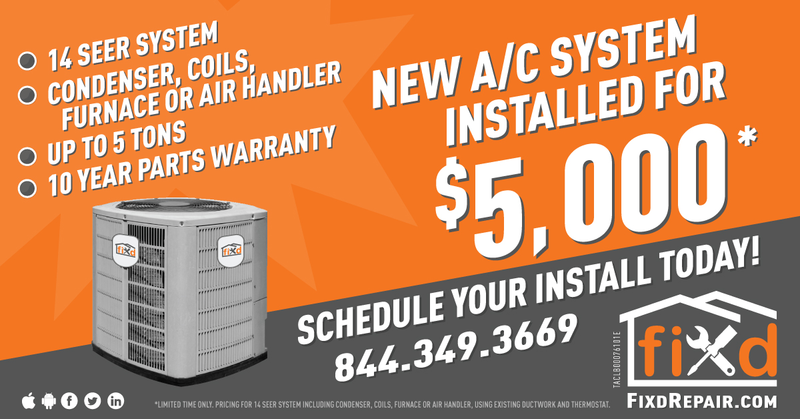 Get your FREE Estimate on a new 5 Ton 14-SEER AC System for $5,000. Call us at 844-349-3669 to schedule your free estimate or send us your info and we will contact you. We’re working hard to improve the home services industry. If you have any questions or comments, please send us an email or give us a call. We love talking to our customers and professionals!